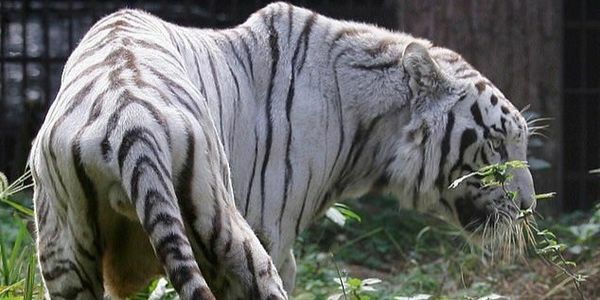 petition: Save Starving White Tiger that is Forced to Eat Soil to Stay Alive! Save Starving White Tiger that is Forced to Eat Soil to Stay Alive! A white Bengal tiger was so underfed, it had to eat soil in its enclosure at a zoo in China, according to one visitor. The visitor said he was shocked to see the skinny white tiger on a recent trip to the Wuhan Zoo in central China. The zoo has denied the accusations, claiming the tiger is healthy. However, if an animal is so hungry that it licks and even chews soil, something is wrong. We ask that the Wutan Zoo take better care of this tiger and make sure it has enough to eat. Or, better yet, send this starving tiger to a sanctuary, where he can be taken care of and live out the rest of his life in a natural environment and in peace. Please sign the petition to make sure they hear our outcry!